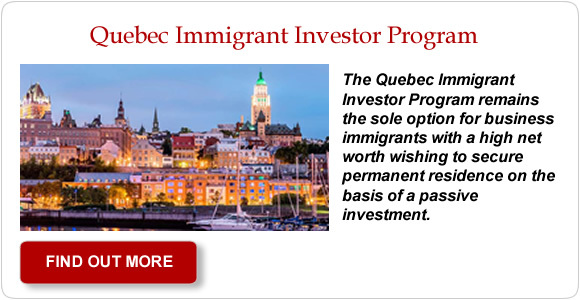 One of Montreal's most reputable Canadian Immigration Consulting firms specializing in all areas of immigration law via its vast network of immigration professionals including immigration consultants, lawyers, and other business specialists. 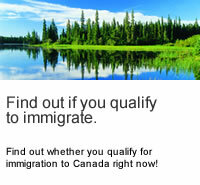 Find out if you qualify for immigration to Canada? Find out whether you qualify for immigration to Canada right now. Navigating the immigration system can be scary. Find out how we can help you and your family through the process. 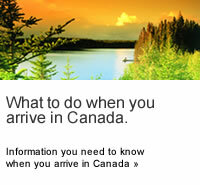 Welcome to the official site of the Canadian Immigration Council. Should you have any questions or comments about our site or our services, we invite you to contact our firm at your convenience. From our family to yours, may you're your future be bright and full of happiness and success! The Canadian Immigration Council is based in the city of Montreal, Quebec in Canada. It is one of the oldest, most reputable Canadian immigration consulting firms and specializes in Canadian immigration law. We focus on several areas of immigration law including: work permit applications, permanent resident applications, landed immigrant applications, Canadian citizenship applications and student visa applications. Our practice also provides clients with a full range of immigration litigation services via our network of immigration professionals including regulated immigration consultants, lawyers, paralegals, business advisors, accountants and other specialists in a variety of fields. The Canadian Immigration Council has been voted as being the #1 immigration Consulting firm by the very prestigious Leger & Leger group for three consecutive years for its work helping prospective immigrants worldwide to achieve their dreams of immigrating to Canada and for providing excellent immigration services. Richard Serour is President and CEO of the Canadian Immigration Council. He is also recognized as one of the best immigration professionals and advocates in Canada. Mr. Serour has devoted his life to working for people wish to immigrate to Canada from everywhere around the world. Being an experienced immigration consultant, Mr. Serour has helped thousands of families in fulfilling their dream of immigrating to Canada and become permanent residents and ultimately turn into Canadian citizens. With an experienced staff and a network of consultants, lawyers, paralegals and several other support specialists, the Canadian Immigration Council has turned many people's dreams into a reality. To quote Stephen Harper, the Former Prime Minister of Canada: "Canada is the place where people want to come and stay, to learn, to pursue opportunities, to raise children, to enjoy natural beauty, to open new frontiers, to set the standard for the world for a high quality of life; a Canada that is a leader and example to the world." We invite you to take advantage today of our online assessment. Our assessment is free; the opportunity is priceless. Wishing you and your family happiness and success in Canada. See acknowledgements from the Canadian Prime Minister, Premier of Quebec & the Mayor of Montreal. Find out whether you qualify for immigration to Canada with our free assessment.